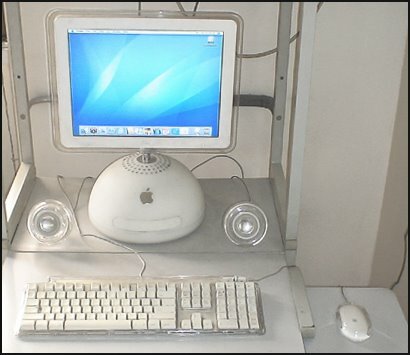 Mac OS X - Part Two "The 'Tiger' Upgrade"
Mac OS X - Part One "A Brief History"
Pictured in this blog entry is my first Mac. 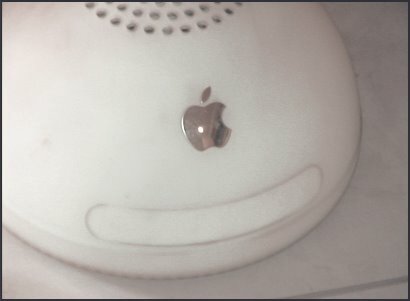 I made the switch back in 2002, thanks solely to my generous father who gave me an Apple computer as a graduation gift. It's certainly not as pristine as it used to be, but it still works amazingly well. I'm always quick to point out the fact that in the span of 3 years (and counting!) since I've had this computer, not once have I ever had the need to send it to the repairshop. It's just THAT reliable. A lot of useful software programs came bundled with the unit. iMovie, for instance, allows you to capture high quality video footage from a DV cam via the firewire port and allows you to edit your own home movies complete with titling, effects and transitions. Once you're done, iDVD allows you to create a DVD disc of your movie, playable on most standard DVD players. 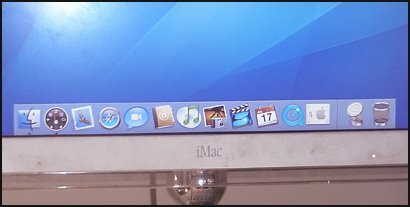 These, along with numerous other software run on the mac's amazing operating system, OS X. Switching to Apple proved to be a great decision for me. It's reliable, efficient and looks absolutely stunning. We still keep a Windows PC at home though, and I keep asking myself why. The one we have now had to be sent to a technician after it had been infected with a virus just TWO WEEKS after we bought it. I'm sure many of you can relate.